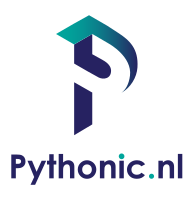 Pythonic.nl is a one man company delivering high quality software products. Modern, idiomatic, documented, tested and carefully nurtured software products. Although not afraid of other languages, Python is the language of choice. Deep knowledge of scientific code, methods and culture. Ambitiously transforming prototype code into production ready software products. Working in astronomy resulted in experience with handling massive amounts of data. Educated in the field of artificial intelligence. A talk at DockerCon about software containerisation in radio astronomy.